Lining up plans in Bali? Whether you're a local, new in town, or just passing through, you'll be sure to find something on Bali Event Calendar 2019 listed below that piques your interest. Omed-omedan involves unmarried youths with ages ranging from 17 to 30 years old. The procession begins with the youths praying together to invoke safety. After the prayer, the men and women separate. The groups face each other on the main street. With the signal of a Hindu leader, both sides approach the center of the road. Male participants pull and kiss the female participants while other villagers pour buckets of water over them. 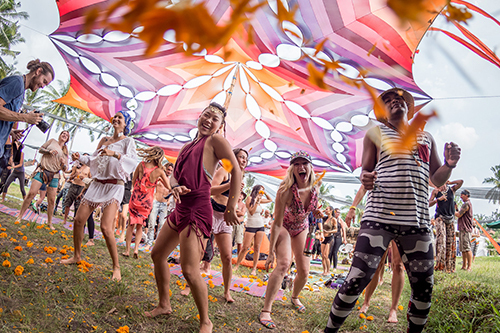 The 10th annual Yoga, dance, music festival. 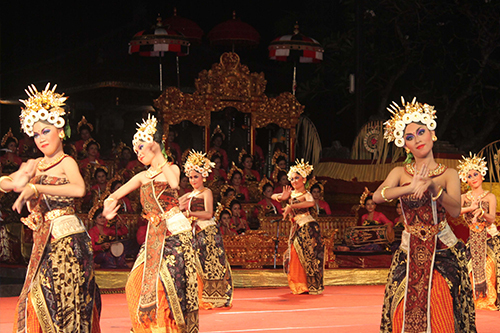 The Bali Spirit Festival embodies the core mantra of Balinese Hinduism - Tri Hita Karana - to live in harmony with our spiritual, social, and natural environments. 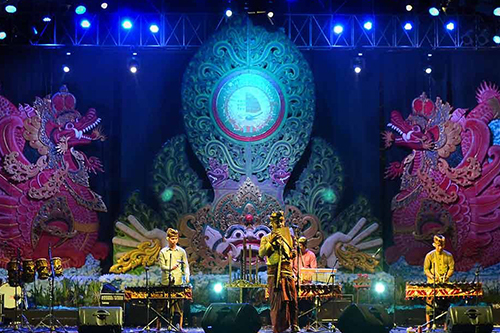 Through the traditions of yoga, dance, healing and world music, this 5-day, 7-night Festival offers you a wide range of events to choose from between 8am – 11pm each day over 1 week. Activities are interactive workshops & seminars, a lively community market & healing center, a children’s activity zone, yoga classes and night time programs of live Bhakti and world. 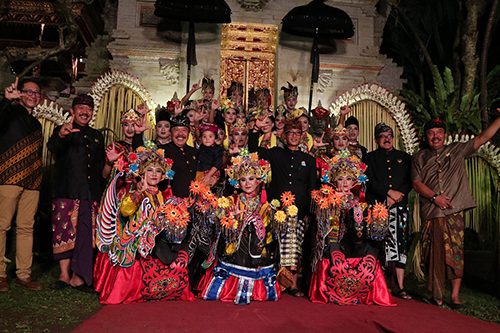 The festival aims to promote art and culture and tourism potential in Kabupaten Klungkung. Festival Semarapura is held in conjunction with Kota Semarapura anniversary and Hari Puputan Klungkung. Various events from opening until closing is held starting from 07.30 am and ends at 11 pm daily during 3 days. Programs include cultural carnival, mass cultural performances, art, culinary competitions and small business exhibitions. A three-day culinary adventure with Indonesian food as the star, Ubud Food Festival (UFF) is Southeast Asia’s most exciting culinary event showcasing Indonesia’s diverse cuisine, innovative chefs and extraordinary local produce. In 2017 UFF returns for its third year. 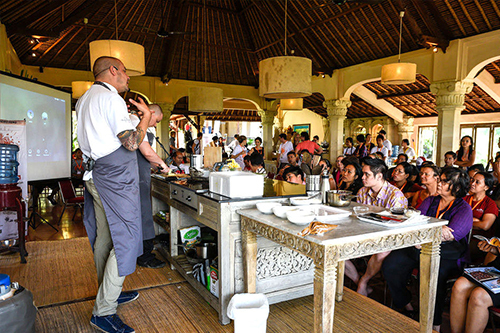 Alongside Indonesian chefs, restaurateurs, producers and food professionals, celebrated culinary icons from around the world will dish up a program rich in fresh produce, fresh tastes, and fresh ideas. If you’re in the food industry or are simply a food lover, then you’re sure to find many tasty treats among UFF’s live cooking demonstrations, special events, workshops, foodie tours, markets, live music, film screenings and much, much more. 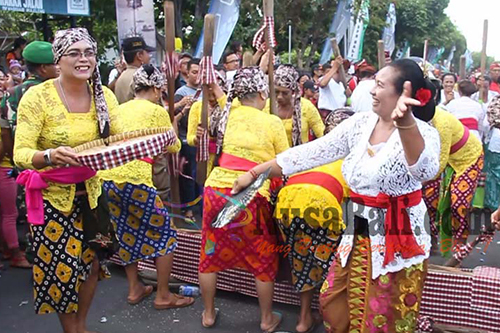 Festival Karangasem is held in conjunction Kabupaten Karangasem Development Potential and Produce Exhibition as well as the anniversary of Kota Amlapura to present a visual on its development potential and produce. 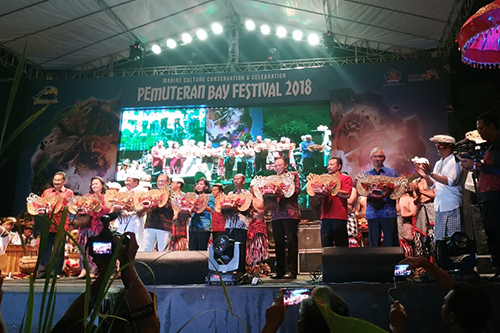 It is a community event for entertaining the Karangasem public by presenting festival activities such as culinary and other cultural performances to motivate the growth of culture and art and participation in development. 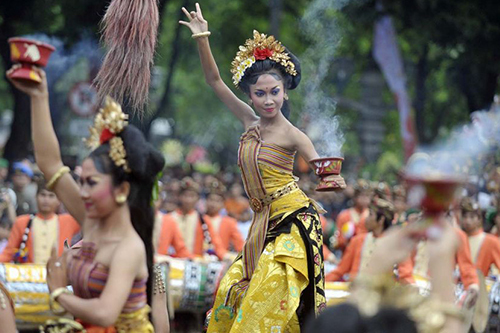 The festival introduced Balinese art and preserves Bali as the main tourism destination in Indonesia. 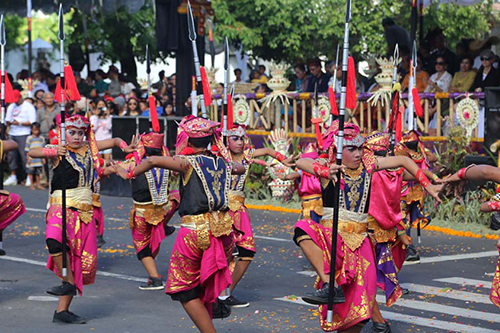 Aside from parade, various competitions will be held in this event, such as literature competition, handy craft, painting and other parades such as culinary, fashion, nglawang, ramatari, gong kebyar, and traditional performance joged bumbung. Bali Blues Festival is the 1st and biggest Blues Festival in Indonesia. It is the 3rd annual event and will grow to be an International Blues Festival. Bali Blues Festival will held on June 14-15, 2019. 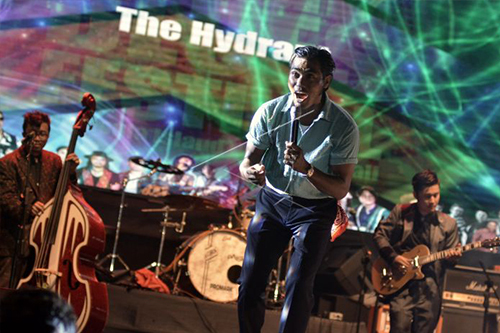 Besides the musicians from Indonesia, there’s also will be the musicians from Holland, Singapore and Australia to perform in Bali Blues Festival 2019. Nusa Dua Light Festival is located at Peninsula Island Nusa Dua Bali. 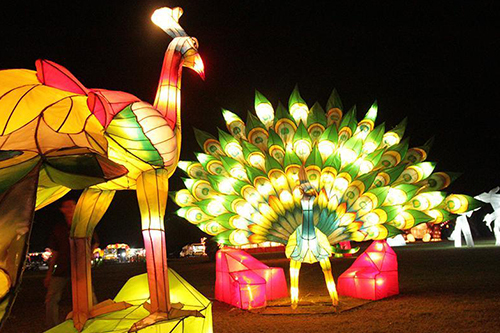 Various shapes of lanterns will be displayed with a performance of music and there is also food and beverages stands. You can enjoy the different atmosphere in every shapes of lanterns. Introducing royalty’s cuisine, presenting traditional art and culture, and organizing tourism seminar, Ubud Royal Weekend may not be your usual event to go to during your holiday. However, with its sharing sessions, resourceful guest speakers, and entrepreneurship workshops, you will always learn something new. Along with creative product exhibitions, you’ll also support the empowerment and development of Gianyar’s community resources. Tenganan Festival will be very special because it is held during Usaba Sambah, a Temple Ceremony in Tenganan Pegringsingan Village, which is known as one of the ancient villages in Bali with various uniqueness and custom of Bali Mula (Pre Hindu) that is found different from other villages in Bali. 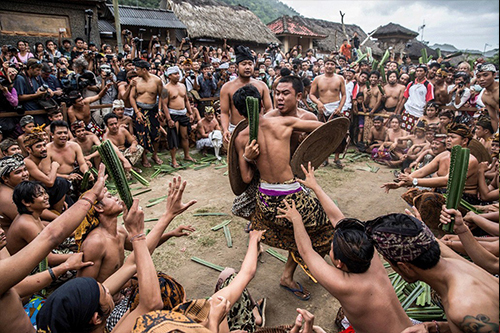 Tenganan attractions that can be witnessed during the festival is a tradition of Mekare-kare or Pandan War. 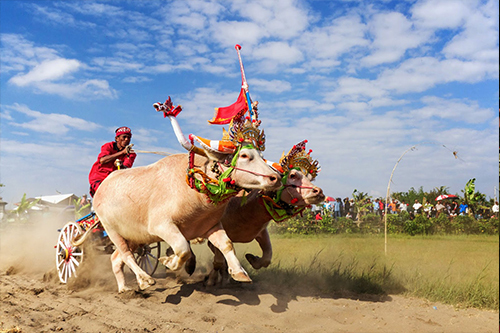 Makepung in Indonesian means chasing, is a bull race traditional competition held by Balinese community, especially in Kabupaten Jembrana. This tradition developed from farmer games done in between mowing the paddy fields during harvest. They race on bulls carrying a cart and driven by a jockey. The race atmosphere is lively with Jegog musicians playing in the background. 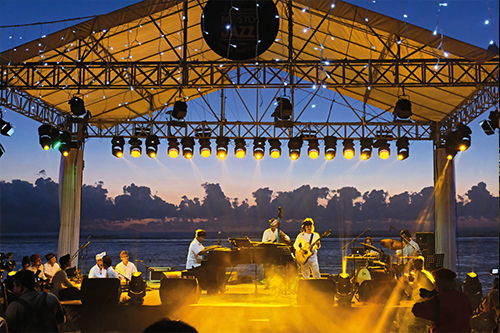 Musician Indra Lesmana, brings live jazz performance to Sanur through his musical series “Mostly Jazz“ at Griya Santrian resort beach front. Mostly Jazz is a musical series program that is developed for facilitating musical expression, creation, communication and presentation for artists and the music community in general. Presenting local and national musicians, culinary festival for all jazz lovers. Buleleng Festival (Bulfest) was become annual event on tourism national agenda and always promoted in Wonderful Indonesia. Hopefuly, this event could be able to attract thousands of tourist to Buleleng Region. Especially north Bali. This event will present a lot of diversity, resource and creativity of music, art, and show of the locals Buleleng city. You'll find a lot of exhibit or traditional culinary, art and culture performance, fashion show, and competition. 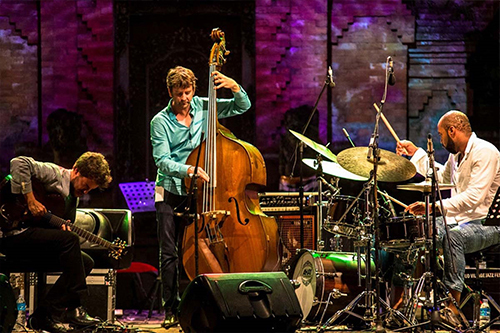 Ubud Village Jazz Festival is a music festival situated in the artistic surroundings of Ubud Bali, Indonesia. Since 2010 Yuri Mahatma, a musician, a composer and a music teacher, and a founder of Underground Jazz Movement together with Anom Darsana, the director and owner of ANTIDA Music Productions, had worked together for some routine projects of jazz concerts, each time with different theme. In the early of 2012 they conceived the idea of a community concert. With the involvement and support of majority of artist communities, the concept of hosting a community concert in this unique village was born. 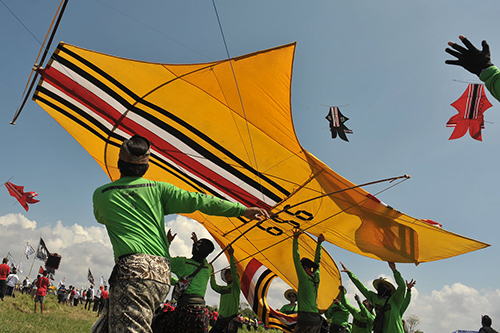 Traditional giant kites are made and flown competitively by teams from the local and international teams. The event is a seasonal religious festival intended to send a message to the Hindu gods to create abundant crops and harvests. The teams consist of about 70 to 80 people, each team with its own gamelan ensemble, flag bearers and flyers. A competition is also held for ‘New Creation’ (kreasi baru) kites which may include detailed three-dimensional figures representing the Hindu Gods or sponsorship kites. An annual community event held by Yayasan Pembangunan Sanur, this year taking the theme Bhinneka Tunggal Ika, unity in diversity. 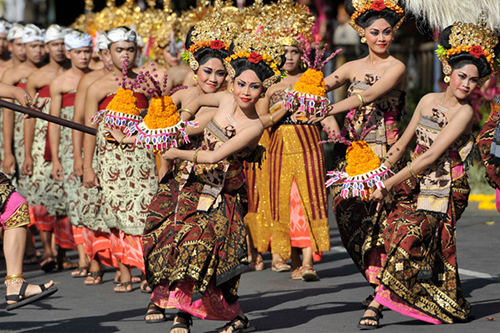 The festival promotes Sanur as a safe, attractive, and beautiful travel destination. Activity programs include culture night performances, culinary bazaar, competitions of jukung and fishing, water sports, art performances, cultural discussion, green environment acts and Sanur Creative Expo. 5K, 10K, Half Marathon, Full Marathon competition. 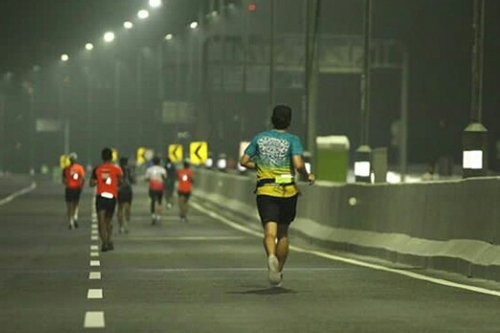 The sensation of running in the early hours of the night with a finish to the rising sun is an experience that will be given to runners. That The Nusa Dua area has a sunrise view that can be enjoyed by runners when after running. 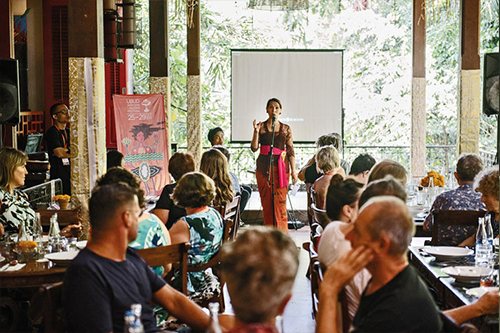 The Festival brings together a diverse mix of Indonesian and international writers, speakers, artists, commentators and activists, in an exciting program of panel discussions, performances, workshops, culinary journeys, film screenings and special events. UWRF releases an annual Bilingual Anthology of Emerging Indonesian Writing, showcasing young Indonesian talent alongside acclaimed Indonesian authors. UWRF is proud of its continuing success in uniting global voices and bringing Indonesian literature to the world. Pesona Nusa Dua Fiesta is the annual event for tourism promotion that combines the luxurious five star hospitality and national culture. Held by ITDC at Peninsula Island, this festival is joined by industry and local administrations that represent national and regional promotion showcase. Programs include parade, art attractions, sports, music and entertainment in a professional ambiance. 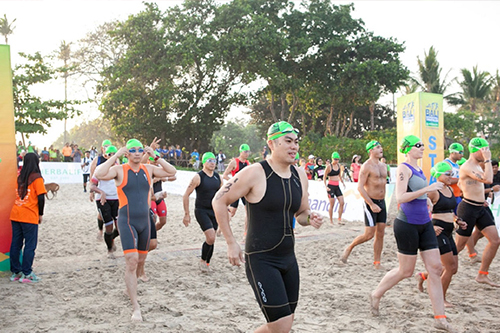 This “Triathlon for the Soul” for the third time has course steeped in Balinese culture, starting and finishing in Sanur, the largest traditional village in Bali. The triathlon joins the agenda of Sanur Village Festival showcasing Bali’s Spirit of Heritage with a variety of cultural and athletic events. Herbalife Bali International Triathlon. The experience of a lifetime. Herbalife Bali International Triathlon. Race on the Island of the Gods. The course improves safety and the athlete experience. Pemuteran has received 22 national and international award among all, there are 3 Prestigious recognition PATA Gold award, Equator Prize, Millennium G20. The conception and policy PRO Community, Culture and environment. Based on the collaboration between community dedicated pioneer and government. Pemuteran Coral rehabilitation project, become more effective by application Of BIOROCK with community proactive participation. 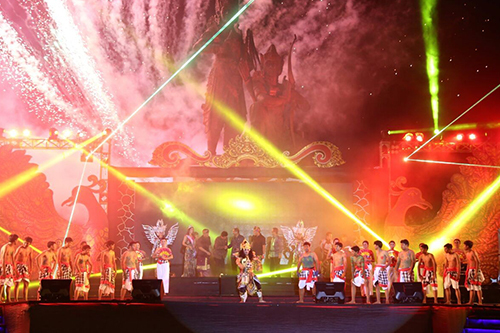 Denpasar Festival started off with the passion to rekindle Gajahmada street in the past, which was the center for Denpasar community creativity. The main highlight of this event is mask parade, art and musical in the main stage, photo exhibition and competition, live painting, traditional art performances, film trade handy craft exhibition, book and rare literature fair, fashion show, workshop and culinary festival.